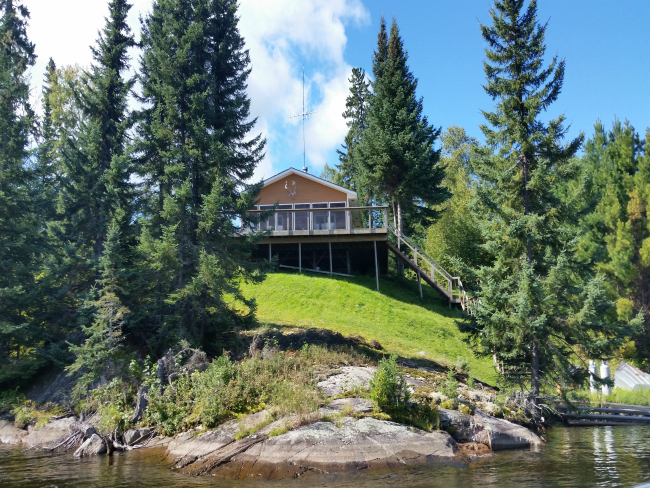 Picture in your mind a cool, gin clear Canadian fly-in outpost lake with lots of fighting trophy Smallmouth Bass and Northern Pike and you’ve got Treelined Lake fly-in outpost. 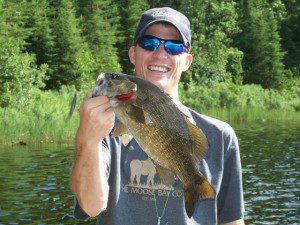 The Smallmouth Bass in this lake are averaging 17 – 18 inches (2-3 lbs.) 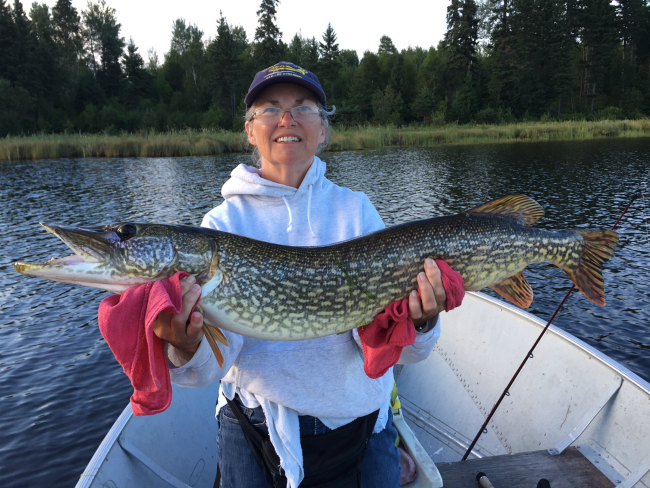 on every catch with 4 – 5 lb. fish (20-22 inches) taken regularly. 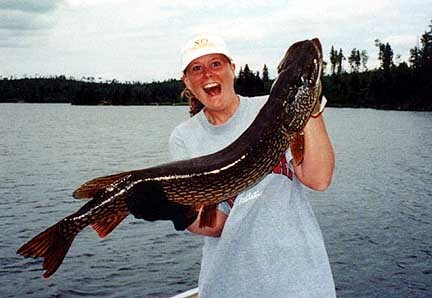 The Northern Pike are averaging 5 – 7 lbs. on every catch with 15 – 20 lb. lunkers taken every season. This lake is remarkably clear in that you will be able to sight-fish the Smallmouth Bass close to the shoreline. 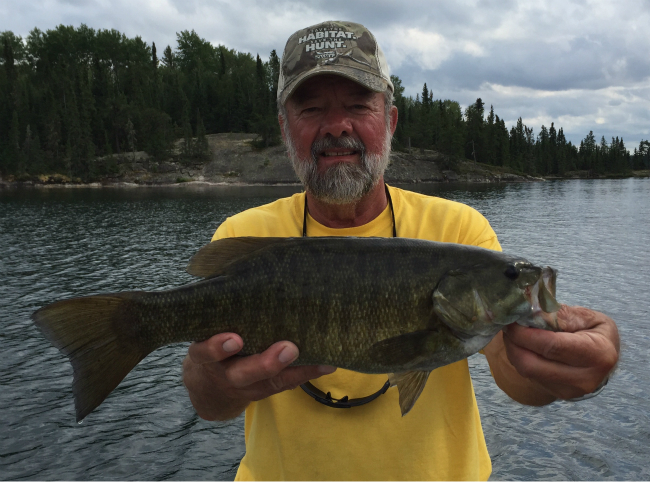 A camera is a must for this fly-in outpost as you will witness follow-ups to the boat with 2-3 Bass at any one time. Wildlife is also abundant in this area. It is very possible to see Moose feeding along the shoreline during the twilight hours and nesting Eagles right across the bay from your cabin. And of course, you can always expect to hear the call of the Canadian Loon to break the silence every evening. 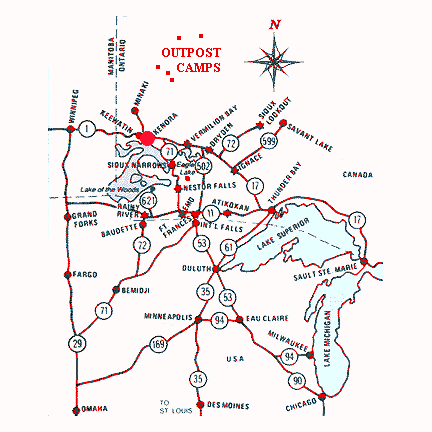 This is a beautiful, unspoiled outpost adventure that only a Canadian fly-in trip can offer. Black Wolf Lodge, is a deluxe, two-bedroom cabin with cathedral ceiling, skylights, large screened-in porch with wraparound deck, complete kitchen facilities, hot & cold running water and hot showers. This fly-in outpost cabin, along with our others, is one of the finest in the area.